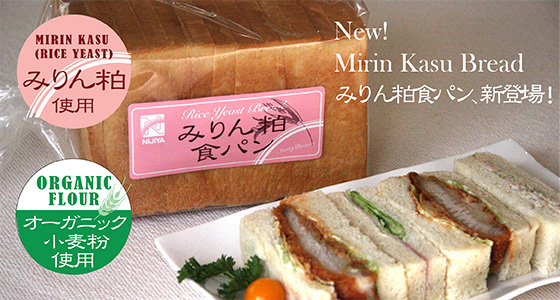 Mirin Kasu Bread is a new line of bread using Nijiya’s popular Mirin Kasu! Mirin Kasu are the lees left over from Mirin production. Mirin is made by brewing a mixture of sweet rice and malted rice. Mirin Kasu is rich in resistant proteins which functions similar to dietary fibers. Many studies have shown it removes short-chain fatty acids from the small intestine and promote many medical benefits. This healthy Mirin Kasu was used for Mirin Kasu Bread. Slight fragrance of Mirin and mild sweetness add flavor to the bread. It is light when toasted. Thin slices are also available for your favorite sandwiches. Enjoy Mirin Kasu Bread. It is good for all ages! Thoroughly baked, with fluffy layers. The smooth Whipping cream has a hint of salt for better taste. These two textures comes together to make this amazing pancake. You could enjoy it anywhere anytime. It comes with a fork, plate, and even includes maple syrup! Refrigeration is OK! – Still fluffy! / 冷蔵OK! 冷やしてもふわふわパン! Deterioration of foods is always concerned during hot season. Have you ever thought if the bread is kept its fluffiness in the refrigerator? Nijiya Cherry Blossom offers the original recipe breads that are hardly lose its moisture even if you keep them in the refrigerator. 6 pieces of small-sized breads are in one package. The size is just fit for lightly filling your stomach or for snacks of children. These are always loved in any generations. This is very popular bread made with “Nijiya Arabiki Sausage”. You may feel satisfaction with just one piece. If you warm it up before serving, it will more delicious because the juicy and chunky texture of sausage will be enhanced. Please add ketchup and mustard for your preference. 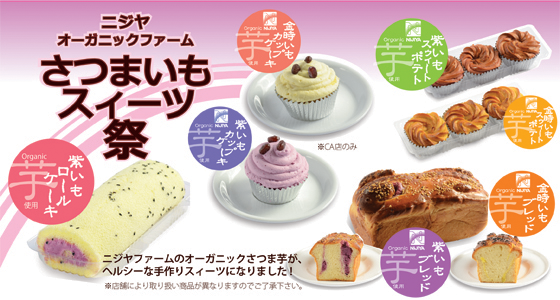 The filling of Cream Pan and Cream Melon Pan is the same custard cream of Cream Puff that is very popular item of Nijiya Cake Kobo. We can say these are close to dessert. 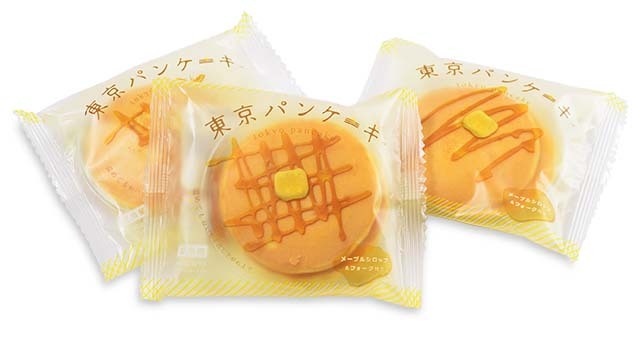 These, especially Melon pan and Custard cream combination, sound too sweet, but these have moderate sweetness that you obviously can eat whole. Plenty of chocolate chip and custard cream are rolled up with this thick and heavy bread. It is delicious when you tear it off and eat as it is or slice and toast it lightly. It is slightly sweet and may fit for simple breakfast to children. This bread is rich in nutrients because it is made with purple sweet potato. The purple sweet potato has beta-carotene, vitamin B1 and C, potassium, magnesium, fibers and other vitamins and minerals. Especially, it contains plenty of Polyphenol (Anthocyanin) which is known as an antioxidant. It helps anti-aging and eyes and liver functions. Simply delicious Coppe Pan is coming with variety of fillings – Very popular six kinds of combination sandwiches. 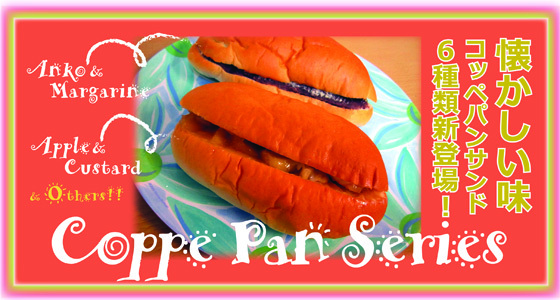 The size of Coppe pan is around seven inches long, three inches width. 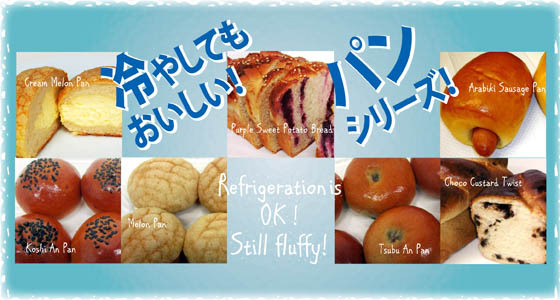 You can enjoy both in room temperature and refrigerate because Cherry Blossom has secret recipe to keep breads soft and fluffy. This is a golden combination in US. Saltiness from PB enhances sweetness of Strawberry Jam. This combination will bring back memory of school lunch in Japan to most of Japanese people. This is reliable combination when you can hardly decide which one to buy. A hint of sourness of apple and thick custard cream combination brings you refresh and rich feelings. You obviously feel you are eating sweets! This is one of popular combination. Very simple, but what enhances the taste of Honey more than margarine? This is another “simply delicious” combination. The special aroma and flavor of brown sugar spreads on the rich flavor of butter. You can easily imagine how wonderful encounter is happened on this bread. Thank you for placing orders. 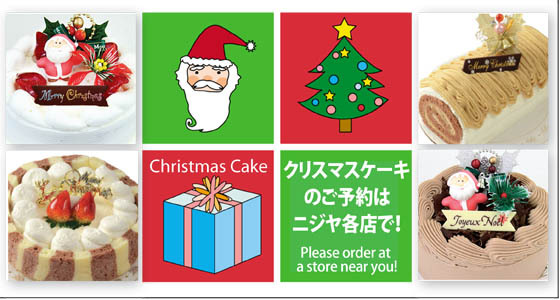 Nijiya Christmas Cake from Cake Kobo! 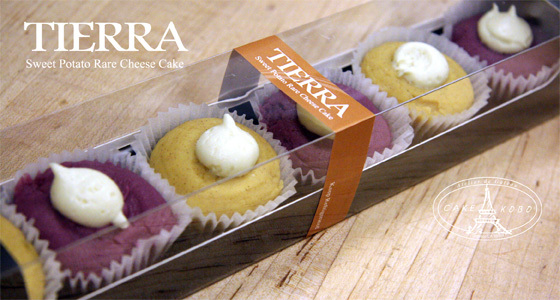 Select from various flavors: Chocolate cake, strawberry cake, Tofu Cheese cake and more! You can make a reservation for pickup at Nijiya stores. Limited amount, so please hurry! Please visit or call us to make reservation. 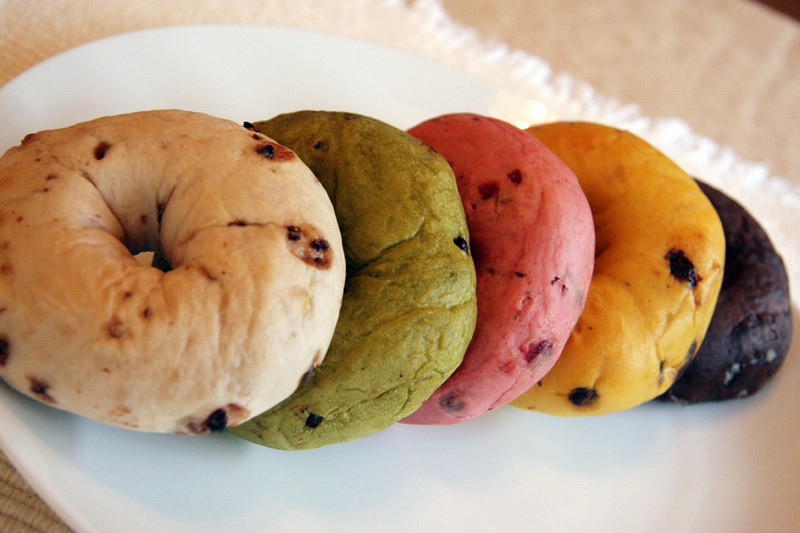 To be associated of London Olympic this year, We made cute five colors of bagel. Please enjoy its fluffiness and slightly sweet taste! 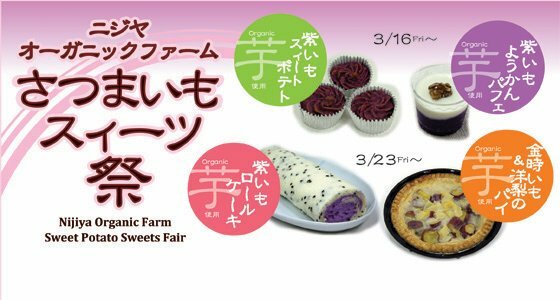 Sweet potatoes harvested in the Nijiya organic farm are now turned into delicious homemade dessert! This healthy dessert is Nijiya’s original. It is newly available from March 16th and 23rd.